This morning I left a meeting with my daughter’s preschool teacher with a happy heart, a thankfulness for amazing teachers, a big container of homegrown tomatoes and a starter for kombucha, which I guess is called a scobi. I mean come on….what a great meeting right?! The tomatoes were out of this world, but first I have a question for ya’ll. Do you make your own kumbucha? I really want to but if I look at the scobi for too long, it makes me want to throw up a little lot. I’m getting off topic here, but please, if you make your own kumbucha and you’re alive to talk about it, can you give me any hints? I’m a beginner here and I want to drink healthy, disgusting things, informed. Just kidding, sort of. After our meeting, we headed out to Snowgoose Produce. I’ve been promising the kids ice cream for lunch before the summer is over and frankly, there’s no better place than Snowgoose. If you’ve been there, let’s pretend we’re fist bumping in agreement right now. 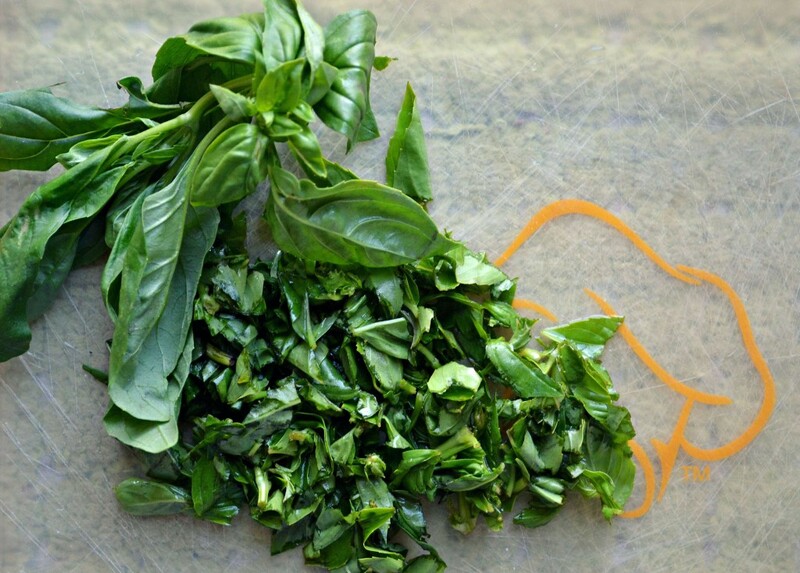 At Snowgoose, I picked up a bag of their fresh basil and tonight some serious magic happened in our kitchen. To me, there’s pretty much NOTHING better than garden fresh tomatoes (from my daughter’s teacher! ), paired with basil (from my favorite ice cream place! ), sprinkled with garlic (we grew!) and salt, pepper, olive oil and mozzarella (can’t take credit for any of those). If you don’t have an abundance of your own garden tomatoes, please don’t hesitate to hit up your neighbor’s garden (ask first!) or a local farmer’s market. It’s been a great year for tomatoes and roasting them like this is super easy and incredibly delicious. 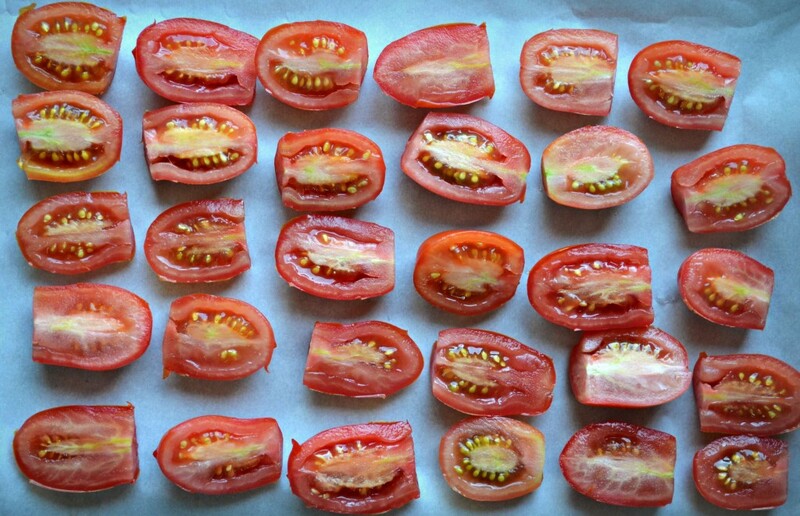 To make your own Oven Roasted Tomatoes, first wash the tomatoes and then cut them into approx. 1 inch slices. My tomatoes were small so, I just chopped each one in half. 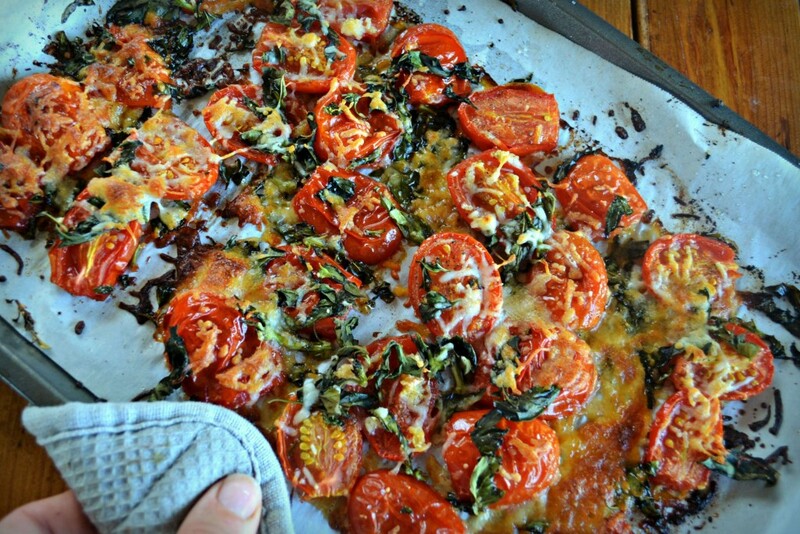 Next, arrange your tomatoes on a cookie sheet lined with parchment paper. 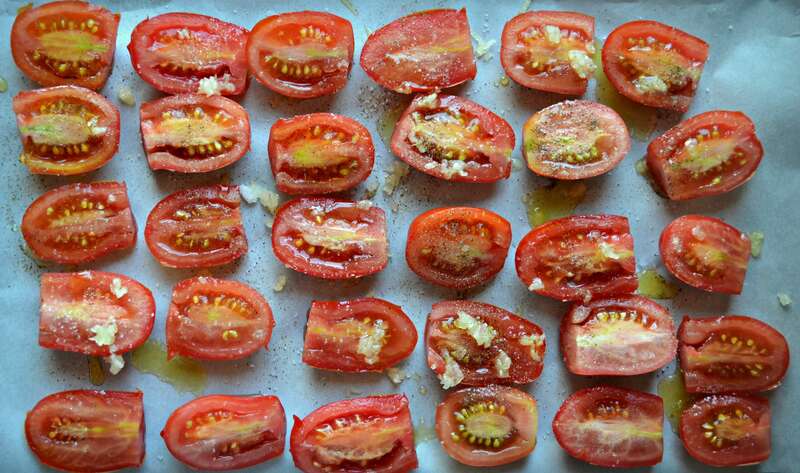 Drizzle the tomatoes with olive oil and then sprinkle with sea salt, pepper, and fresh pressed garlic. 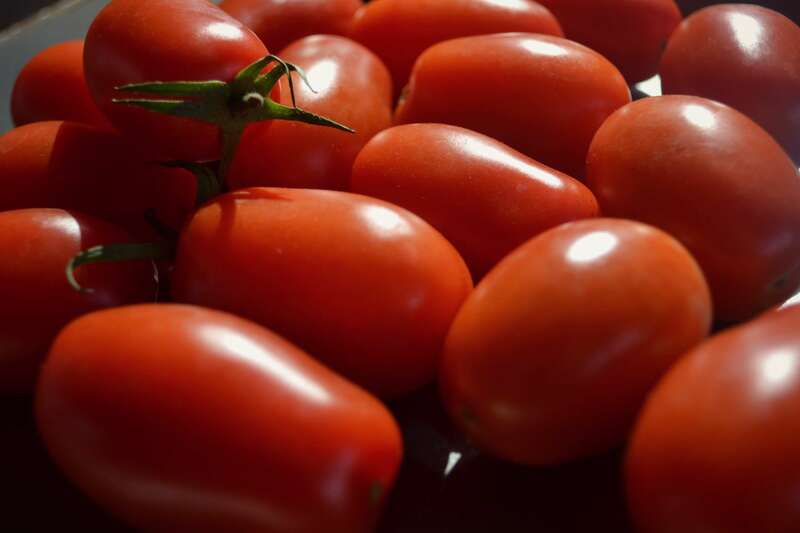 Bake the tomatoes in a preheated 400* oven for about 20 minutes, or until the tomatoes are beginning to caramelize. 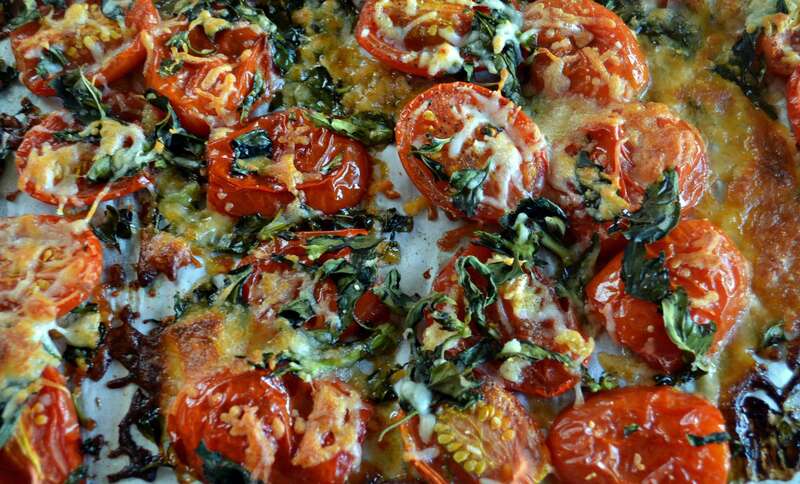 Pull the tomatoes out of the oven, sprinkle with a generous amount of fresh basil and shredded mozzarella. Return the tomatoes to the oven and bake for another 5-10 minutes. Eat fresh off the cookie sheet, as a topper for your favorite baguette, over eggs or however your heart desires. 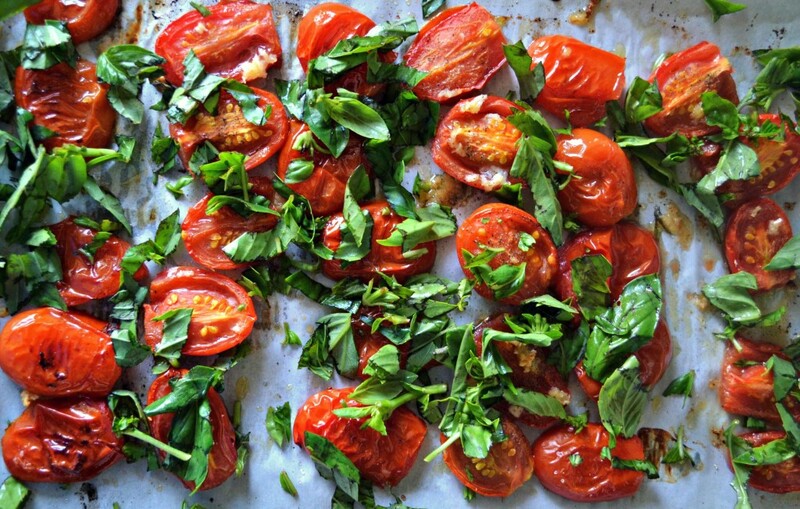 These oven roasted tomatoes are like seasonal candy. This friends, is food for thriving. Seasonal, local, food from neighbors and local growers is the way we should be eating, because you know the thing about good food? It brings people together. Wash the tomatoes and then cut them into approx. 1 inch slices. My tomatoes were small so, I just chopped each one in half. Bake the tomatoes in a preheated 400* oven for about 20 minutes, or until the tomatoes are beginning to caramelize. 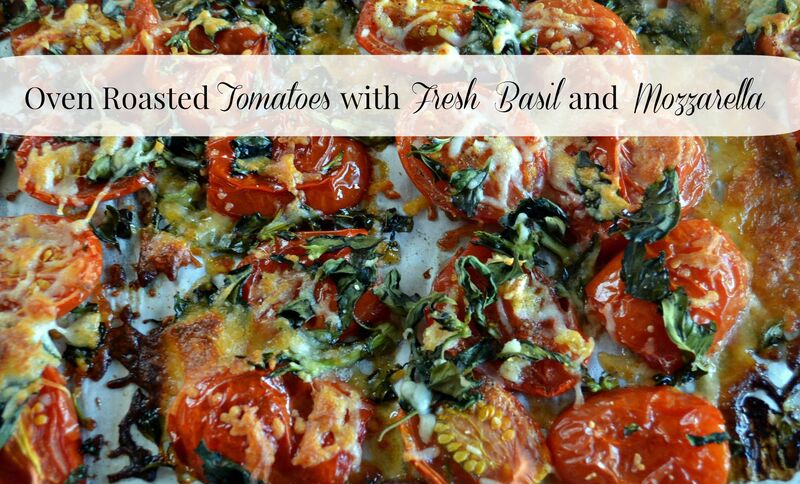 Pull the tomatoes out of the oven, sprinkle with a generous amount of fresh basil and shredded mozzarella. Return the tomatoes to the oven and bake for another 5-10 minutes. Eat fresh off the cookie sheet, as a topper for your favorite baguette, over eggs or however your smart little brain can dream up. 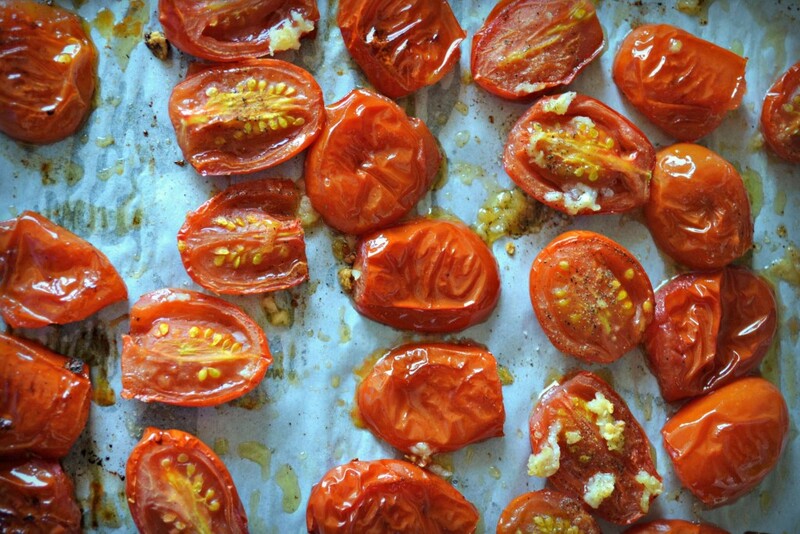 These oven roasted tomatoes are like seasonal candy.